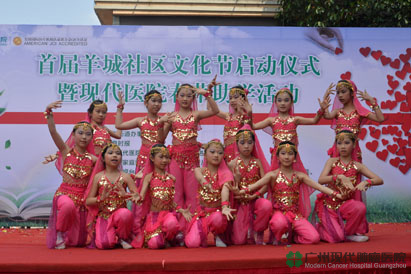 The first “Guangzhou Community Cultural Festival and Spring-Grass Help Education Activity” was held. 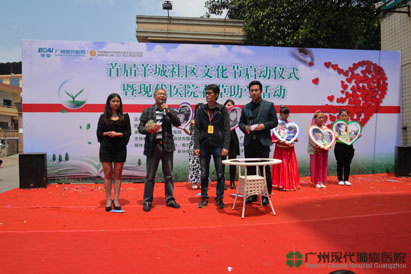 On April 12, 2015, the first “Guangzhou Community Cultural Festival and Spring-Grass Help Education Activity” was hosted by the Information Times and the Shadong Street, was held at Modern Cancer Hospital Guangzhou. This activity aimed to raise money for five poor high-school students’ three-year tuition fee. The pedestrians, hospitalized patients and performing guests performers were generous to donate money and showed their kindness. At last, we counted the donated money at the spot and the total number was 5827 yuan RMB and there was another 20yuan Hongkong dollar. In order to complete children’s dream, Modern Cancer Hospital Guangzhou also donated money to make up the rest part of tuition fee. What we got from the charity spot was transferred to the executive director of Spring-Grass Help Education Association, Mr. Pan Xiasheng. The practice of charity fund and the follow-up works were followed by this charity organization. 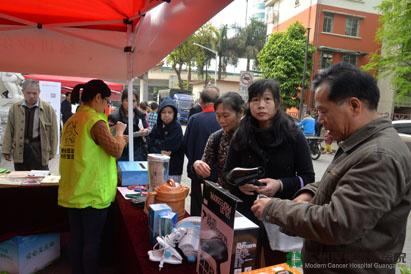 It is known that, as the co-organized hosts, Modern Cancer Hospital Guangzhou has initiated hundreds of large-scale charity activities in the past nine years, such as “Make Jingwen’s Dream Come True”, “Blue Ribbon Charity Plan”, “Anticancer Million Charity Fund”, etc. which help millions of vulnerable groups have brought health and hope. All the activities, such as helping the poor, donating charity fund, decreasing the medical fee, etc. 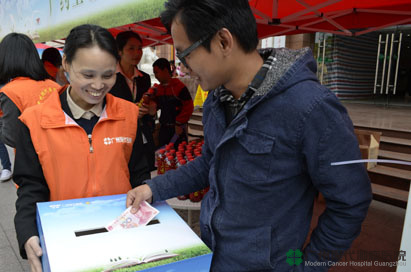 The accumulated fund of charity activity has reached 30 million yuan.